The Eagle and the Swan Nebulae (perhaps better known as the Omega Nebula) are two of the largest and most active star-forming regions in the Milky Way. The nebulae are located close to each other in the Milky Way’s Sagittarius spiral arm. The Eagle Nebula lies some 7,000 light-years away in the constellation of Serpens (the Serpent). Stars are born from clouds of cold hydrogen gas that reside in this chaotic neighbourhood, where energy from the young stars sculpts beautiful cloudscapes in the surrounding material. A cluster of stars has formed from this great gaseous and dusty cloud. 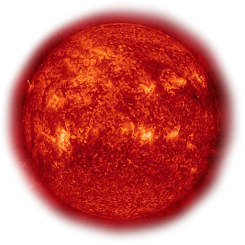 Hydrogen gas energised by the star cluster's powerful ultraviolet light causes the whole region to glow red. The Eagle Nebula hosts the famous “Pillars of Creation”, which are gigantic towers of gas and dust within which matter clouds collapse under their own weight to form new stars. Swiss astronomer Philippe Loys de Chéseaux recorded the star cluster, but not the surrounding nebula, in 1745. In 1764, French comet hunter Charles Messier reported on this star cluster as being "enmeshed in a faint glow", indicating that he had noticed traces of the surrounding Eagle Nebula, and he included it as the entry number 16 in his famous catalogue (Messier 16). In the New General Catalogue, Messier 16 goes by the designation NGC 6611. The Omega Nebula is a dazzling stellar nursery located about 5,500 light-years away towards the constellation of Sagittarius (the Archer). An active star-forming region of gas and dust about 15 light-years across, the nebula has recently spawned a cluster of massive, hot stars. Active star-birth started a few million years ago and continues through today. The intense light and strong winds from these hulking infants have carved remarkable filigree structures in the gas and dust. The brightly shining gas is just a blister erupting from the side of a much larger dark cloud of molecular gas. The dust veils come from the remains of massive hot stars that have ended their brief lives and ejected material back into space, as well as the cosmic detritus from which future suns form. As with the star cluster in the Eagle Nebula, Loys de Chéseaux discovered the Omega Nebula around 1745. Likewise, Messier independently rediscovered the Omega Nebula about twenty years later, and named it Messier 17 in his catalogue. 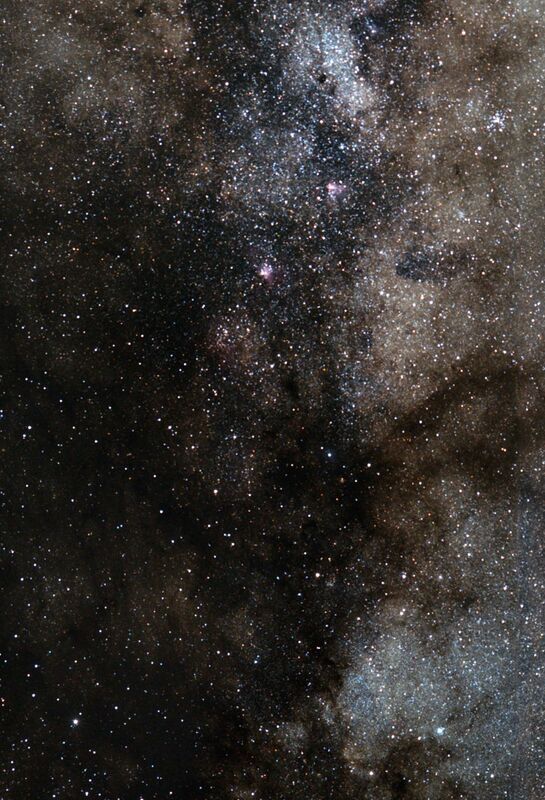 In a small telescope, the Omega Nebula appears as an enigmatic ghostly bar of light set against the star fields of the Milky Way.